Frenchman Louis Bidois was an early Tauranga trader, arriving in the area in 1844. His adopted son, Pierre, would marry the son of Te Puna French trader Emile Joseph Borel (1814-1885), and another son, Charles, would marry the daughter of trader John Lees Faulkner (1807-1882), thus linking the three early trading families. Story by Debbie McCauley (still being researched). Louis Bidois was born in Bapaume, Pas-De-Calais in France in 1821. He left Bordeaux, France on board the 'Justine' in 1837 and travelled before arriving in the Bay of Islands in 1839. He was connected with Bishop Pompallier's schooner 'Sancta Maria' during this time, visiting various places around New Zealand, Sydney and the Pacific Islands. He would become known as 'Ruia'. Louis was naturalised in Tauranga on 17 February 1840 (v.5). In 1844 Louis settled in Tauranga. He married the twice widowed Irihapeti [Elizabeth] Whakamomori Mereana Warneri Kaumoana on 27 December 1844. They were married by French priest, Father Bernard. Irihapeti was the daughter of Whakamomori and Te Kanohi and belonged to the Pirirakau hapu of Ngati Ranginui (Takitimu waka). She was the granddaughter of Tata and Urupare from the Ngati Ranganui iwi. Her great great grandfather was Takarua from Te Puna (Stokes, p. 148). Irihapeti was the widow of Edward Warner, a whaler who returned to sea soon after their marriage and died. They had a son, Pierre [later adopted by Lois Bidois]. After Edward's death, Irihapeti married Frenchman, Michael Ottenon, who died soon after they married. It is thought that Michael worked for the Catholic Church. Pierre Peter Kanohi Warner Bidois (1843-1922). Born in December 1843 to Irihapeti and her first husband Edward Warner, later adopted by Louis Bidois. He married Mereana [Mary Ann] Tangike in Te Puna on 13 July 1871. Mereana was the daughter of Te Puna French trader Emile Joseph Borel (1814-1885). Peter served as a despatch carrier with the British forces during the New Zealand Wars.He died in Te Puna, aged 84, on 31 May 1922 (reg. 1922/11470). His obituary appeared in the New Zealand Herald on 13 June 1922: VETERAN OF THE MAORI WARS. GALLANT SERVICES AS A SOLDIER. The death occurred at Te Puna near Tauranga, of Mr Peter Bidois, a very old resident of the district. 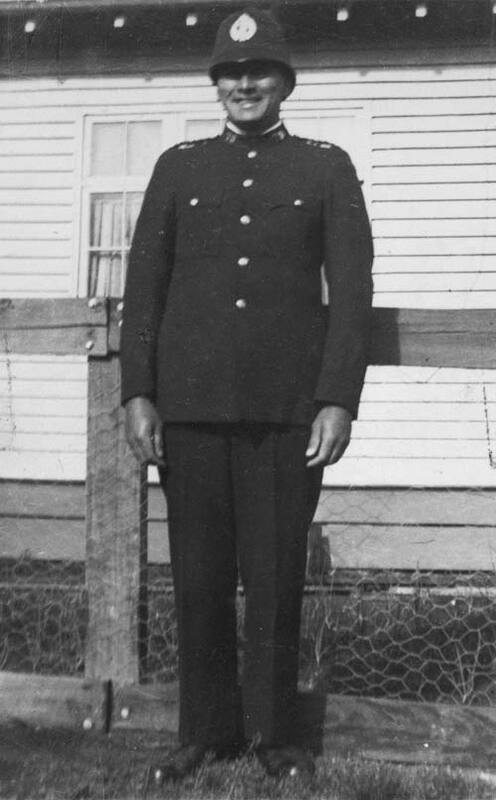 He served with the British forces during the Maori war. He gained prominence as a very able despatch carrier and ran many risks during the performance of his duties. He leaves a grown-up family. A brother, Joseph Bidois, was slain at Opepe by Te Kooti’s men. John [Jean] Baptise Bidois (1846-?). Born on 1 June 1846. Jean Charles Bidois (1848-?). Born on 13 March 1848. Joseph Bidois (1850-1869). Born in 1850. Joseph was a member of the Tauranga and Bay of Plenty Volunteer Cavalry who died at Opepe on 7 June 1869. The incident was reported in the Evening Post on 10 June 1869. Joseph is remembered on the St George’s Anglican Memorial Church War Memorial in Gate Pā. Buried in the Opepe Military Cemetery in Taupo. Makaria Bidois (1850-?). Born in 1850. Henry Bidois (1851-1879). Born in December 1851. He died, aged 28, in 1879 (reg. 1879/4410). Adelaide Bidois (1854-1935). Born in Te Puna on 1 October 1854. She married Mr A. M. Davidson. Adelaide died, aged 82, on 25 October 1935 (reg. 1935/22356). Her obituary appeared in the New Zealand Herald on 26 October 1935: MRS A. DAVIDSON. The death occurred at Te Puna this morning of Mrs Adelaide Davidson, widow of the late Mr A. M. Davidson, who for many years was chairman of the Tauranga County Council, aged 82. Mrs Davidson was born at Te Puna and had lived there all her life. She was a daughter of the late Mr Louis Bidois, who was one of the earliest white settlers of Te Puna district. Mrs Davidson is survived by her only daughter (p. 16). Louis Bidois (1855-1876). Born in February 1855. He died in 1879. Charles Haare Bidois (1856-1932). Born on 17 December 1856. Charles married Pauline [Porina] Faulkner, daughter of another early trader, John Lees Faulker. Charles died in 1932. Louis Napolean Bidois (1860-1871). Born in 1860, Louis died at age 12 in 1871 (reg. 1871/8759). Jacques Hemi Bidois (1862-?). Born in December 1862. Makarita Bidois (1864-?). Born on 25 October 1864. Celina Bidois (1870-?). Born on 12 August 1870 (reg. 1870/18147) (Alternate birth date: 1 April 1869). A letter dated 21 August 1860, written from Auckland and signed by Louis states: 'Sir, I have the honour to request that my name may be inserted in the next proclimation that may appear [?] with Letters of Naturalisation. My name is Louis Bidois, native of Brittany in France, 39 years of age, residing at Tauranga in the Bay of Plenty, Trader. I was in the service of the mission at Kororāreka [Bay of Islands - later renamed Russell] with Bishop Pompallier in 1840, and from the 17 February of that year I should feel obliged by your permitting the letters to take effect - I have the honour to be, Sir, your obedient humble [signed Louis Bidois, witnessed ]. BIDOIS One of the oldest residents of the Bay of Plenty, in the person of Mr Louis Bidois, passed away at this residence Kareti, Te Puna, on Saturday morning, at the age of 89 years. Deceased was born in the northern part of France, which country he left in the year 1837 and arrived in the Bay of Islands in 1839. For some time he was connected with Bishop Pompalier’s ship, visiting New Zealand, Sydney and the Pacific Islands. Eventually he settled in the Tauranga district in 1844, where he married and is survived by a family of twelve, besides a large number of grandchildren. The funeral took place this afternoon, the interment being made at Te Puna. The last rites of the Roman Catholic Church were performed at the graveside by the Rev Father Van Dijk (p. 2). Aaron Bidois (personal communciation, 2015) - third great grandson of Louis Bidois, decended through his son Charles. Bay of Plenty Times (19 April 1902, p. 2). Dunmore, John (Ed.). (1992). The French & the Maori (pp. 125-130). Evening Post (10 June 1869, p. 2). New Zealand Herald (13 June 1922, p. 8). New Zealand Herald (26 October 1935, p. 16). Steedman, J. A. W. (c1987). Nga Ohaaki o Nga Whanau o Tauranga Moana. Stokes, Evelyn (1997). The Allocation of Reserves for Maori in the Tauranga Confiscated Lands (Vol. 1, p. 148). [Note: gives a list showing many of the dates of 9 of the children shown above are baptism dates]. Tauranga City Library: New Zealand Room Vertical File (Bidois Family). Irihapeti was my GG grandmother and from the family records her first child Pierre (Peter) had Edward Warner as his father, we believe he died at sea as he was a whaler. Irihapeti then married Michael Ottenon, from this relationship we believe there were no children, when Ottenon died,Irihapeti then married Louis Bidois. Both Ottenon and Bidois adopted Pierre (Peter) and give him their name. My Great grandfather was known as Peter Bidois when he married my Great grandmother Mary Borell. Welcome any information on Warner and Ottenon. I am writing a biography about a descendent who with two others were accompanied as guides Joseph and Henry (Harry) the sons of Irihapeti and Louis on a gold exploration expedition in the Kaimais in 1867. Louis Bidois's birth registration is now available on-line. Louis Antoine Bidois was born in Paimpol, department of Cotes d'Amor, France, on 6 June 1820, at 11 p.m., the son of Joseph Bidois, aged 40, a former gendarme, and Marie Joseph, née Le Fêvre, aged 30, living in Paimpol. The birth was declared by Dr Joseph Jean Le Moal, obstetrician, and the witnesses were François Marie Richard, wig-maker and Louis Rouché, innkeeper. French whaling ship records show that Louis Bidois deserted from the Ferdinand in Sydney on 30 June 1839. The ship's records show that he had registered as a sailor in Paimpol and that he had blond hair, blue eyes, a small mouth, round chin and oval face. This is different from other research. Can you provide a referrnce to this online birth date, parents, and location, also the the ship to Australia? Louis Bidois himself said that he came from Brittany. Bapaume is not in Brittany, but Paimpol is. Details about him can be got from Departmental Archives in France, but you need to know French to be able to get at them. His birth is registered in the Archives départementales des Côtes d'Amor: Registres paroissiaux et d'état-civil. Paimpol 1816-1823. Image 169/287. Du huitième jour du mois de Juin mil huit cent vingt. Acte de naissance de Louis Antoine Bidois, né le six du dit à onze heures du soir, fils légitime de Joseph Bidois, âgé de quarante ans, profession de ancien Gendarme, et de Marie Joseph Le Fêvre, âgée de trente ans, profession de — demeurant à Paimpol. Crew lists of ships returning to Le Havre are in the Archives départementales de la Seine Maritime, series 6P6, 85 (1837) and 101 (1840). Ferdinand. Capitaine: Tropel, Pierre Marie. 4/6/38 - 30/10/40. BIDOIS, Louis Antoine, déserté à Sidney 30/6/39. Paimpol f°1078, n°2156. Né 6/6/20 à Paimpol (C. d. N.), fils de Jh et de Mie Jh Lefebvre, un mètre pte millim, cheveux et sourcils blonds, yeux bleus, front ordinaire, nez ordinaire, bouche petite, menton rond, visage ovale.